Size of this preview: 550 × 600 pixels. Other resolution: 1,194 × 1,302 pixels. 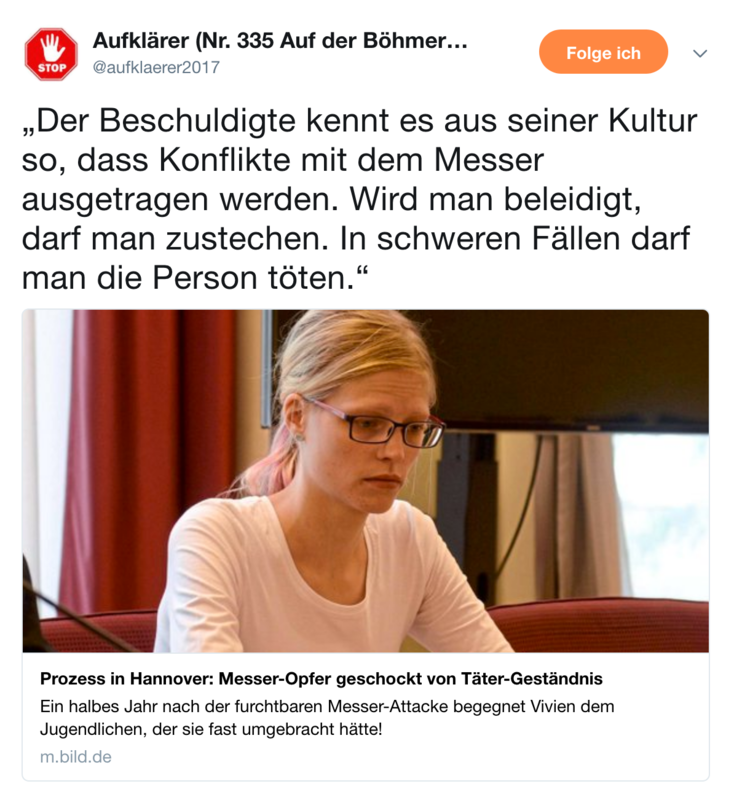 Deutsch: Der Beschuldigte kennt es aus seiner Kultur so, dass Konflikte mit dem Messer ausgetragen werden. Wird man beleidigt, darf man zustechen. In schweren Fällen darf man die Person töten. English: The accused knows from his culture that conflicts are fought out with the knife. You get insulted, you get to stab. In serious cases, the person may be killed. Español: El acusado sabe por su cultura que los conflictos se resuelven con el cuchillo. Si te insultan, te apuñalan. En casos graves, la persona puede ser asesinada.